The warm air inside your home blows across the indoor evaporator coil and the heat energy from the air transfers to the refrigerant inside the coil. Think of the refrigerant like a sponge, absorbing the heat from the air. 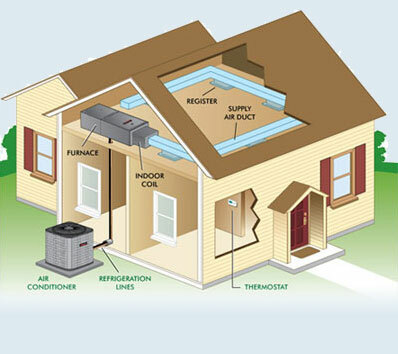 As a result, the air is now “cool.” The cooler air is circulated back through the home providing comfort. The refrigerant is pumped back to the compressor where the heat absorbed by the refrigerant is released and cycle begins again. Moisture that contributes to humidity is also condensed out of the air.